Jaw surgery has left a Texas woman with a British accent. 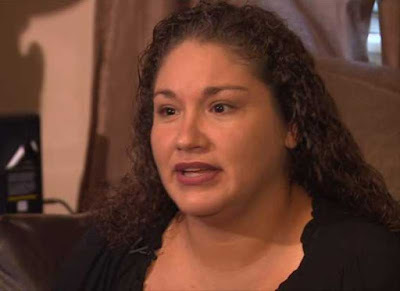 Six months ago, Lisa Alamia underwent jaw surgery to correct an overbite, resulting in nerve damage that led to a condition known as foreign accent syndrome. Now, chatting with strangers in her town of Rosenberg, Texas, is no simple matter, Alamia said. "People who don't know me, they're like, 'Hey, where are you from?'" She answers, "I'm from Rosenberg, [Texas]. They're like, 'Where is that?' I'm like, 'Right here in Rosenberg.' 'Oh, you're from here? How do you talk like that?' So that's where the whole story comes up." When Alamia's older daughter Kayla first heard her mother's jaunty British accent, she said, "I thought she was joking with me." "But then she showed me that the doctor diagnosed her with foreign accent syndrome. Then I was like, 'Oh, Lord,'" she added. Fewer than 100 people worldwide have been diagnosed with foreign accent syndrome over the last century, according to experts at Houston Methodist Sugar Land Hospital. Foreign accent syndrome is most often caused by brain damage from a stroke or traumatic brain injury, but it's also been linked to multiple sclerosis and other health issues. In some cases, no clear cause has been pinpointed, according to experts at the University of Texas at Dallas. Alamia's neurologist, Dr. Toby Yaltho, has put her through a battery of tests trying to answer the how's and why's of her strange condition. So far, it remains a mystery.